Update, 11:24 a.m.: TAP vending machines resume normal service. Credit, debit or cash now accepted. Due to a system wide issue, TAP vending machines are not accepting credit cards or debit cards as a form of payment. TVMs are operating on a cash only basis. Metro is working to resolve the issue as soon as possible. We will provide an update when all TVMs have resumed normal operations. Plenty of people, including myself, use plastic instead of cash. Luckily, I’ve got stored value. For everyone else – are these folks subject to citation today? 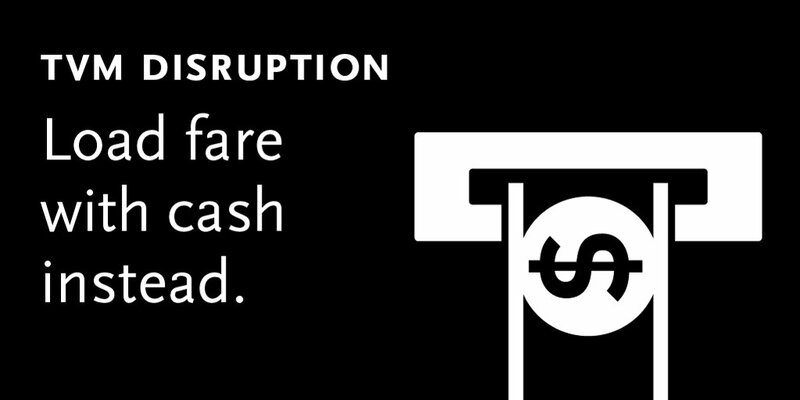 People with no pass or money in the tap cards cannot ride the Silver Line when the vending machines are not working.